I have been committed to the ideals of making scholarship relevant and accessible to the broad public from the start of my academic career. Some of my work follows principles of community engaged scholarship, whereby I partner with community members to develop research questions, collect data, analyze results, and reflect findings to guide practice in the real world. One example of pastoral migration map I created. All legends and labels were translated into Afaan Oromo. In 2014, I created pastoral migration maps for the twenty participant households who contributed their knowledge of livestock herding and whose herds were collared since August, 2011. 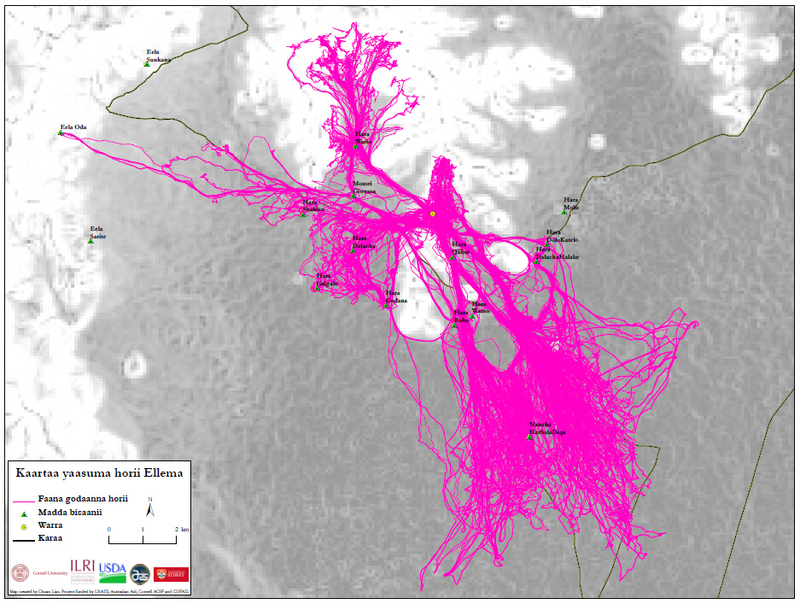 By combining cutting-edge GPS tracking technology and substantial indigenous input, pastoral migration maps can be created in an approach that both reflect the exact movement pattern and make sense to the community members. I translated all legends and labels into the local language. Explaining pastoral migration maps to herds in southern Ethiopia. 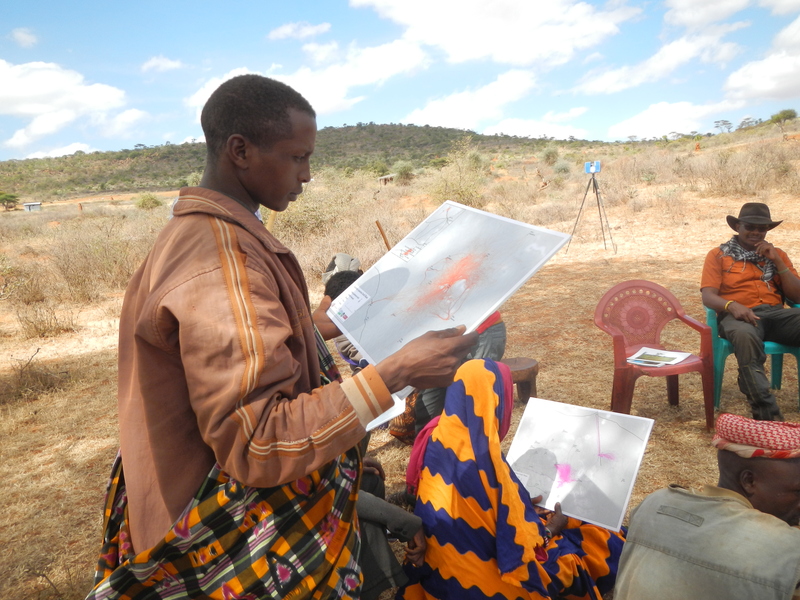 Pastoralists were engaged in several rounds of participatory mapping, and were very generous to share their knowledge. In return for their help and contribution, it is a must for scholars to deliver our research findings to them effectively. A young pastoralist was reading the map that showed the footprint of his herds in Irbi, Borana, Ethiopia in August, 2014. Since the maps were made relevant to pastoralists’ daily herding context, they might be able to use such tools to reflect their resource use patterns, facilitate community rangeland management, and defend their rangelands from potential land grabbing.